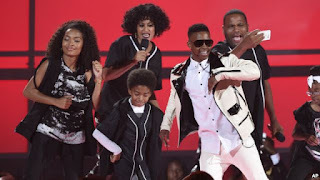 Yara Shahidi, from left, Tracee Ellis Ross, Miles Brown, Silento, and Anthony Anderson perform at the BET Awards at the Microsoft Theater on June 28, 2015, in Los Angeles. This is the Top Five Countdown! We’re working through the five most popular songs in the Billboard Hot 100 Pop Singles chart, for the week ending July 25, 2015. Today we have something for everyone: a new entry, some old favorites, and a brand-new champion! It all starts in fifth place, where Silento drops two slots with “Watch Me.” The Atlanta rapper drew inspiration from failure. After losing a local talent show, Silento decided to post his music online, which turned out to be a great decision. “Watch Me” is a viral video smash, collecting 100 million hits across various platforms. Staying put in fourth place are Taylor Swift and Kendrick Lamar, with “Bad Blood.” CNN reports that Taylor’s clothing line will soon be sold through online Chinese retailer JD.com. JD will sell Swift’s branded tops and dresses through a new platform called U.S. Mall. Taylor Swift will also perform in Shanghai this November. Here’s your new entry: The Weeknd surges three slots to third place with “Can’t Feel My Face.” His long-awaited album Beauty Behind The Madness drops on August 28. It reportedly features a guest appearance from Kanye West. 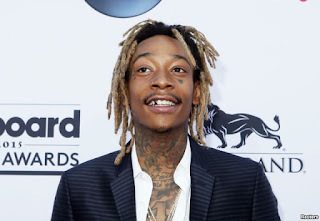 We have big changes at the top: Wiz Khalifa and Charlie Puth drop to second place with “See You Again.” Wiz is a road warrior this North American summer. 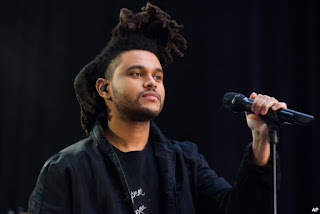 He is currently touring North America with rockers Fall Out Boy; starting in October, he’ll hit the U.K. and Europe with fellow rapper A$AP Rocky. OMI arrives at the Much Music Video Awards, June 21, 2015, in Toronto, Canada. 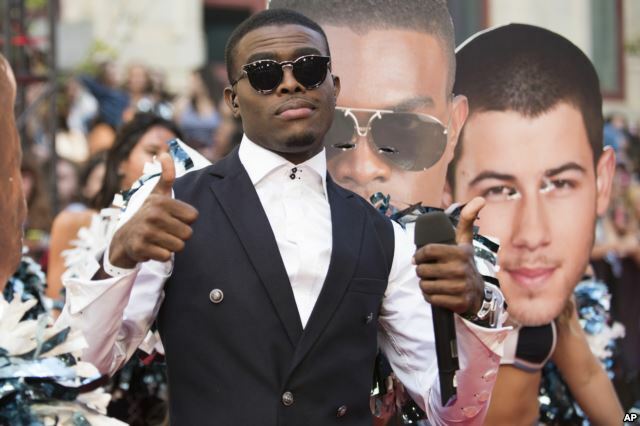 New to number one in the U.S. is OMI, who’s already tasted international success with “Cheerleader.” He’s our first Jamaican singles champ in nine years. The last Jamaican artist to hit number one on the Hot 100 chart was Sean Paul with “Temperature,” in 2006. Can OMI keep things on the boil for a second straight week? Check back in seven days and we’ll find out!